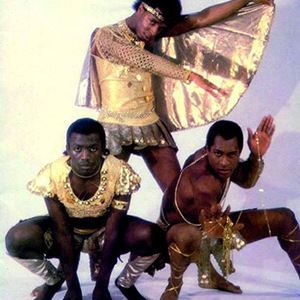 Imagination were a three piece soul music band from the United Kingdom in the early 1980s, sometimes described as Britain's first black supergroup. They had chart hits in 28 countries, earning four platinum discs, nine gold discs and over a dozen silver discs between 1981 and 1983. The band consisted of: * Leee John was born John Lesley McGregor in Hackney, London, on 23 June 1957, of St Lucian descent. He was educated in New York, later studying drama at the Anna Scher Theatre School. * Errol Kennedy, born on 9 June 1953, a drummer who was born in Montego Bay, Jamaica, and learned to drum in the Boys' Brigade and Air Training Corps. Leee John's drama studies paid off when, among other roles, he was in the cast of the Doctor Who story 'Enlightenment' in 1983. Imagination's success began to wane after 1983. It coincided with a shift away from their signature sounds toward a more mainstream sound. Their fifth released, "Triology" included the moderate hits, "Thank You My Love", Found My Girl" and the minor hit, "Last Days Of Summer." Imagination's sixth release titled "Closer" found them working the producers of another British band Loose Ends. It includes the hits "Instinctual" (#62 UK and #1 U.S. Dance), "The Last Time" and "Love's Taking Over." By the time Imagination's seventh and final album "Fascination Of The Physical" was released Lee John was the only original member featured in the music video for the lead single, "I Like It." After the album failed to gain significant sales or an audience, Imagination disbanded in 1995. Lee John has since went on to have a moderately successful solo career in both the Dance and Jazz music world.